To build an efficient, affordable shipping process, you need to have all the facts. The facts are specific to your company and making assumptions isn't going to give you the data you need. That is where our reporting suite comes into play. Introducing Shipment Metrics; A complete, transparent view of what and how you are shipping. Did you know that exactly 82% of your UK orders are dispatched with Royal Mail Tracked 24? Or that your biggest export market is currently France, whereas it was Germany last year? Or that in the past 3 months, your Magento store order volumes have decreased 7% each month and in contrast, your Shopify order volumes have increased by 12%, becoming your best performing sales channel? Gaining a view of the above data points, and more, provides you with a crucial insight that helps you plan promotions, spot cost saving opportunities and allocate budget to your sales channels that need it the most. Take the shipping service report, for example. This report shows you exactly how your orders are being shipped. Looking to cut costs somewhere? Identify a cheaper shipping option. Or perhaps several customers 4 starred you on TrustPilot because your delivery was slower than they hoped and didn’t provide adequate tracking updates? Use this report to see where you could swap problematic services for a better option. Did you know that your warehouse staff are still having to create shipping labels manually for 11% of your shipments because of a shipping rule gap? This means you have room for an 11% inefficiency increase. Find a problem, patch a gap in your process. We’ve only covered two of the available shipping reports here. 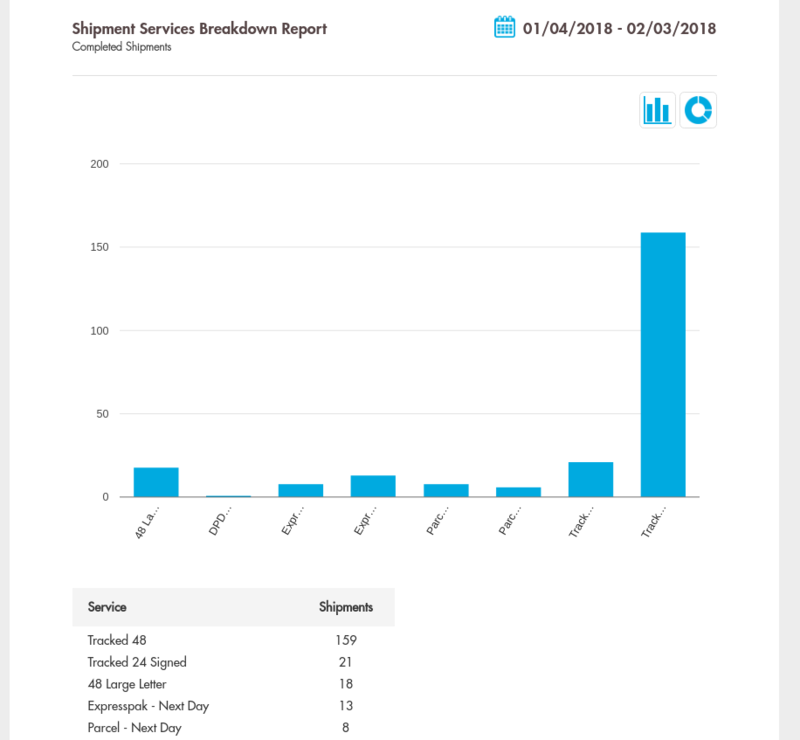 Head over to your Shiptheory account and start browsing the entire reporting suite now for real-time shipment metrics. To stay one step ahead of your competition in the global ecommerce market, you need all of your data from your entire sales process available in an easy to digest format. These reports should give you the data you need to make the right call. You can read more about our new ecommerce shipping reports here. We would love to hear feedback on our shipment metrics. If we have missed data that would make growing your business easier, please reach out to us.